lost in the sea. - Versicle. Lately, everything has been rough to me. Life's hard, bro. Huh? This is the third time I posted these pants on the blog. You'll probably see them more because they're definitely my fave (I think I label 'fave' to mostly everything...) and I don't really feel struggling to mix and match them with other items since they have some beautiful patterns with matching color choices (a plus point!). I'm not really a jeans-person and these kind of pants are perfection to me. 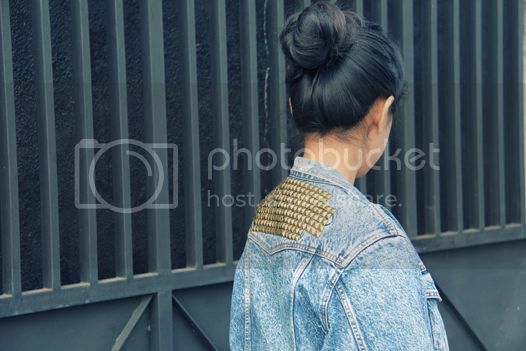 The DIY studded jacket (my bleeding hands are the witnesses!) makes a comeback on this blog, too. And I agree to everyone that says everything-scalloped is cuteness. 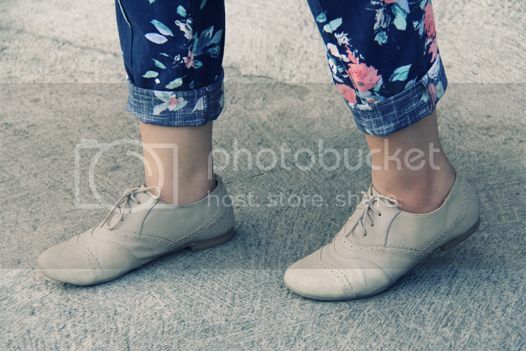 Plus, trusty go-to oxfords for comfy alternatives. Off we go! Your hair bun looks PERFECT, haha just a little something I noticed! Supercute! 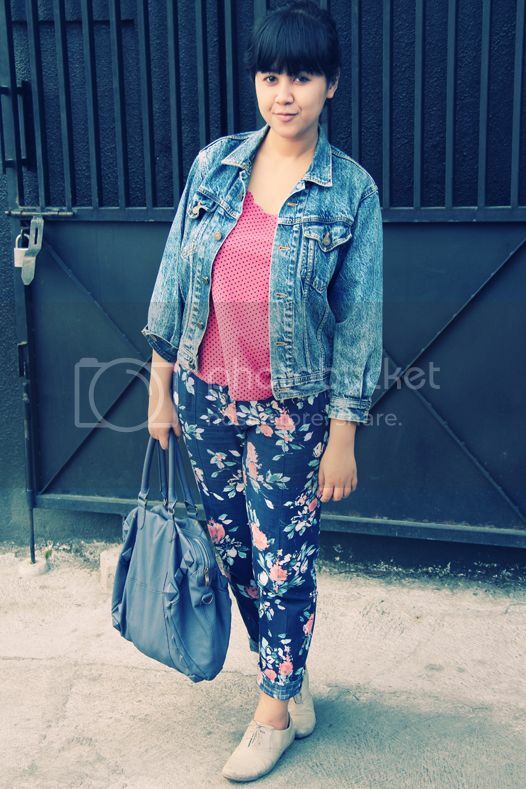 Love the entire look, specially your awesome jacket! I'm not suprised-pants this gorgeous deserved to be worn many times!! I love the pattern :) Nice jacket too the stud detailing at the back really adds something to a seemingly normal jacket. Great outfit ! 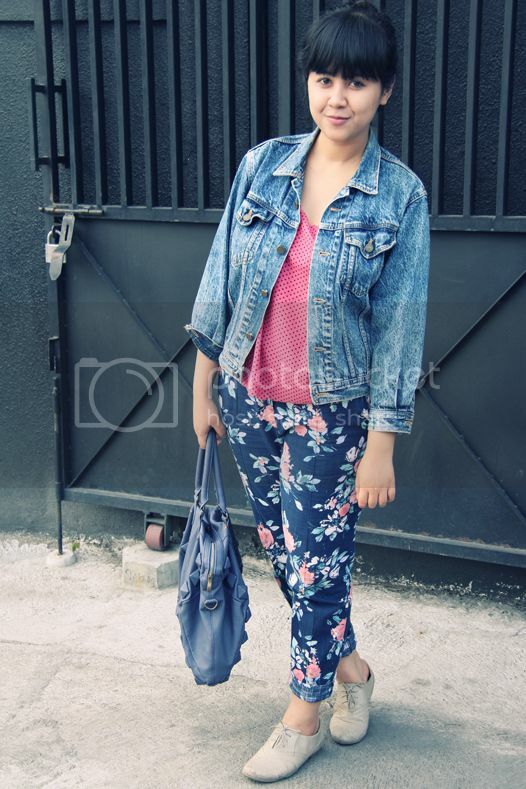 ^^ Love your denim jacket with studs, and floral pants look really cute with it. Lovely! I love the combination of the polka dots and the floral... and I like that you chose subtle shoes to not "overdo it". Nice! 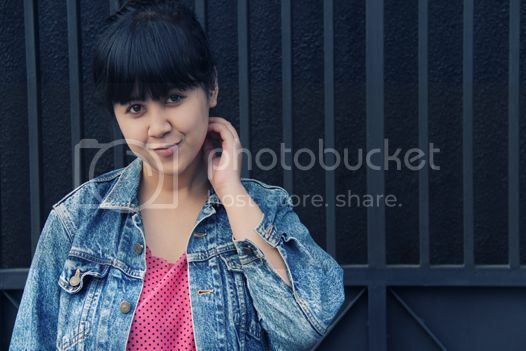 That print is very cute ;) nice post! ohmygosh YOUR JACKET IS GEORGOUS !! 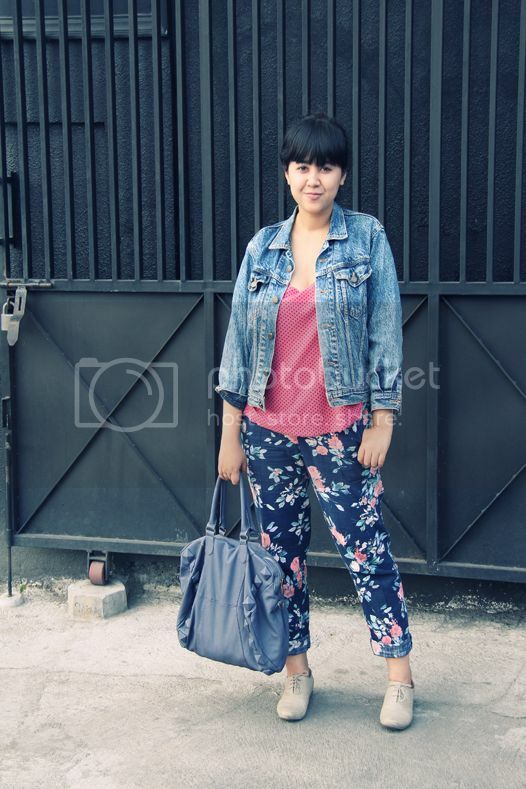 LOVE the studded denim jacket, and pairing it with the floral pants-FAB!